In April 1912, the RMS Titanic hit an iceberg on it's maiden voyage. Upon hearing the news of Titanic's sinking, the White Star Line arranged removal of posters advertising the Titanic. Very few original posters exist today - they are real collector's items. 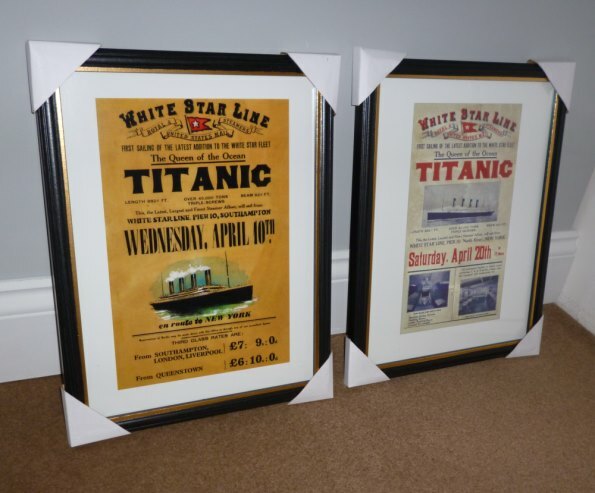 These are framed replicas of the original posters advertising the Titanic's first trip, part of our range of framed wall-art.